Today I noticed that I made a mistake on the shipping address but thanks to the great team you have Keiley helped me to fix the issue, you don´t want to be waiting for your parts to find out that they were delivered to the wrong address. What we have here is a rare gem! 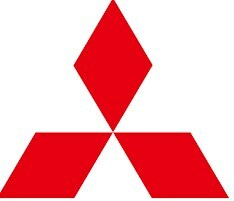 This carbon fiber Mitsubishi diamond emblem will fit perfect on the front of your EVO 8. Simply remove your old stock chrome diamond (it pulls right off) and replace it with this tricked out carbon fiber diamond. The emblem is 2x2 weave.